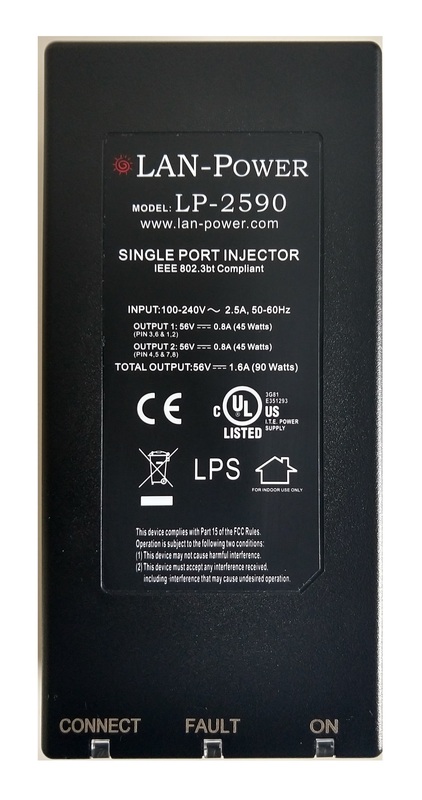 The LAN Power Model LP-2590 Single Port ULTRA High Power/PoE Plus Midspan Injector supports powering IP End Devices. 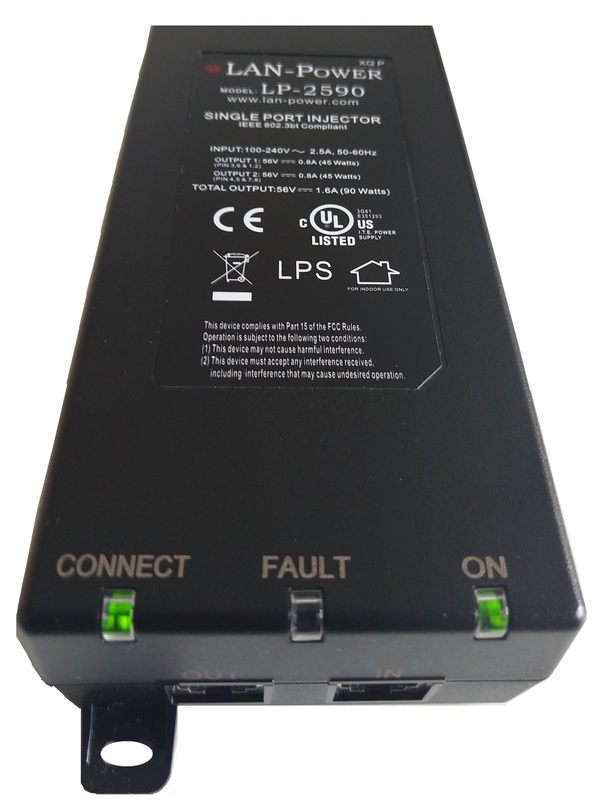 The Single Port ULTRA High Power/PoE Plus Midspan Injector adds up to 90 watts continuously. 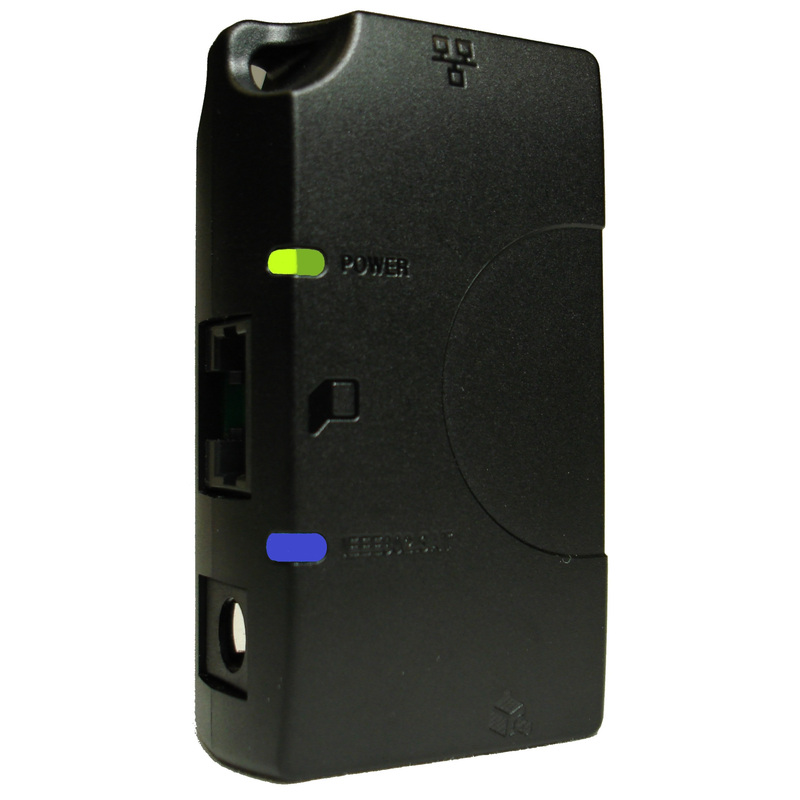 The LP-IPEYEII Camera Field Focus Adaptor allows IP Video Installers to cost effectively and quickly set up and focus Power over Ethernet (PoE) enabled IP Cameras (and any other PoE enabled end devices requiring set up and/or programming). A MUST HAVE TOOL for every installer. Due to the overwhelming success of the LP-2511 and LP-2521 and from the valuable feedback from our customers the LP-2535 is designed as a direct replacement for the previous units. 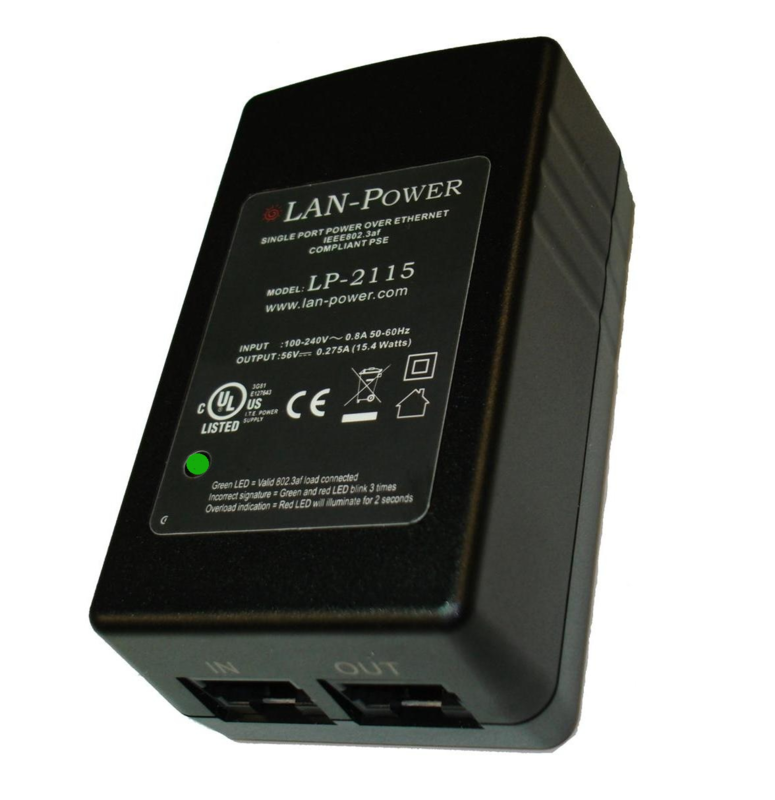 The LAN power model LP-2535 is a Single Port High Power/PoE Plus Midspan Injector which supplies up to 35 watts continuously to an IP End Devices. 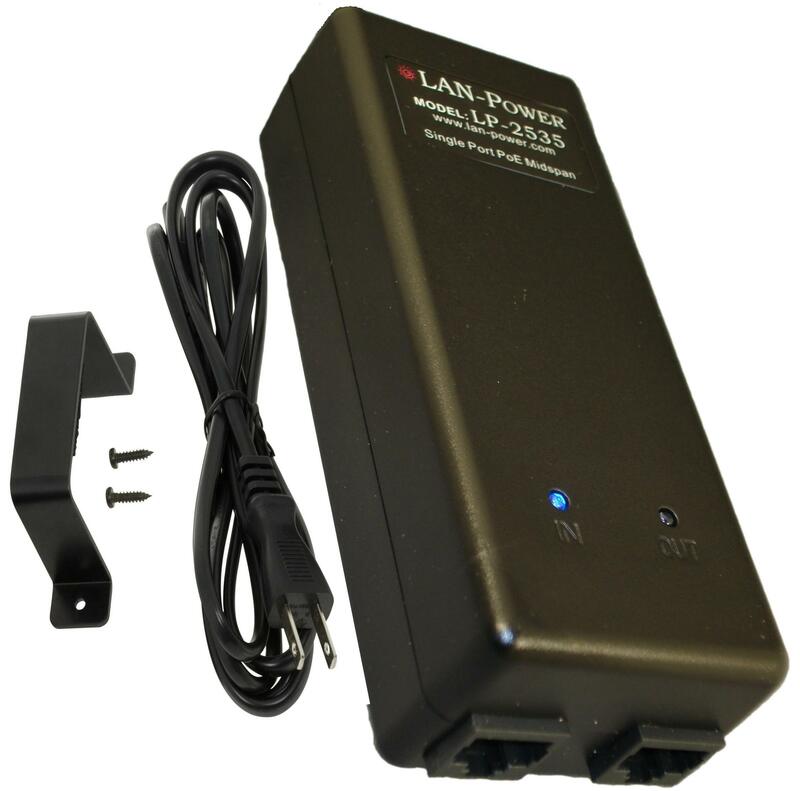 The LAN-Power LP-2340 PoE and Ethernet Data Segment Extender enables the extension of both Power over Ethernet (PoE) and Ethernet Data, over standard CAT 5 (or above) cabling, beyond the specified 328 feet (100 meter) lengths for 10/100Base T Networks. The LP-2340 is a direct replacement of the popular LP-2330. 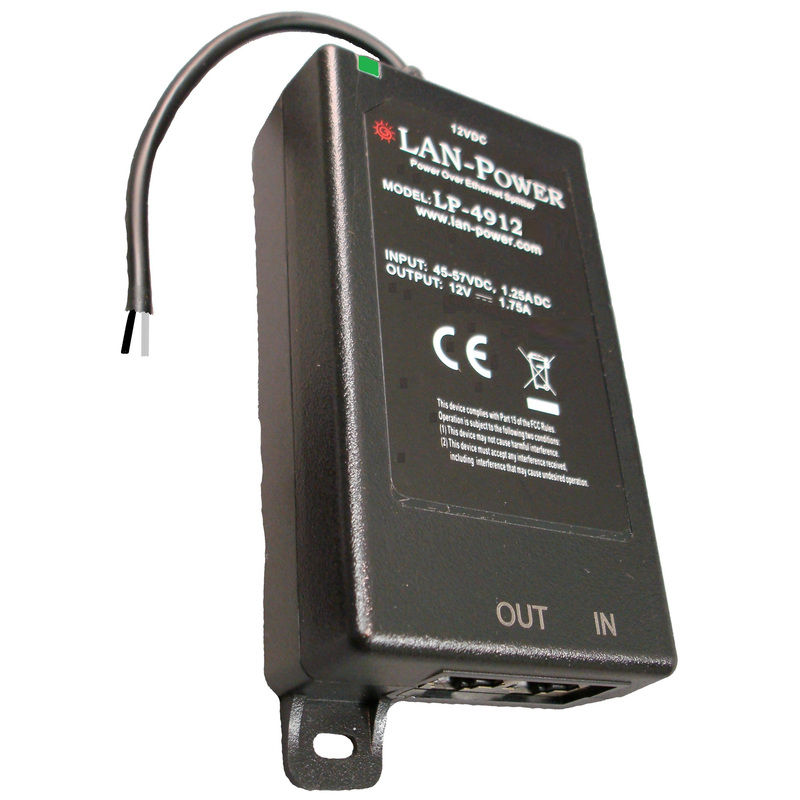 The LAN-Power LP-2115 Single Port Wall Wart PoE Midspan provides up to 15.4 Watts and is IEEE 802.3af compliant. The LP-2115 plugs directly into AC Outlet. The cost effective unit is ideallt suited to provide PoE power to any IEEE 802.3af compliant IP End Device. 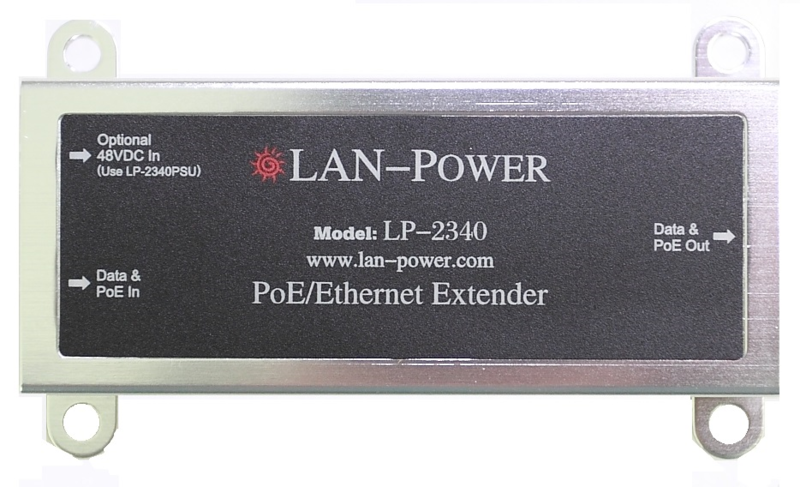 LAN Power provides a complete range of Power over Ethernet (PoE) Midspan solutions from single to multi port IEEE compliant devices. The product range includes IEEE 802.3af (Standard PoE up to 15.4 Watts output), IEEE 802.3at (High Power/PoE+ up to 35 Watts output) compliant solutions along with pre-standard ULTRA HIGH Power PoE (up to 75 Watts output) solutions. Inclusive in the product range is the unique and value add ‘Modular’ PoE Midspan designs. In addition are complimentary PoE and Ethernet Extenders, Splitters inclusive of Unique Dual Voltage Splitters and IP Camera Installation Tools. 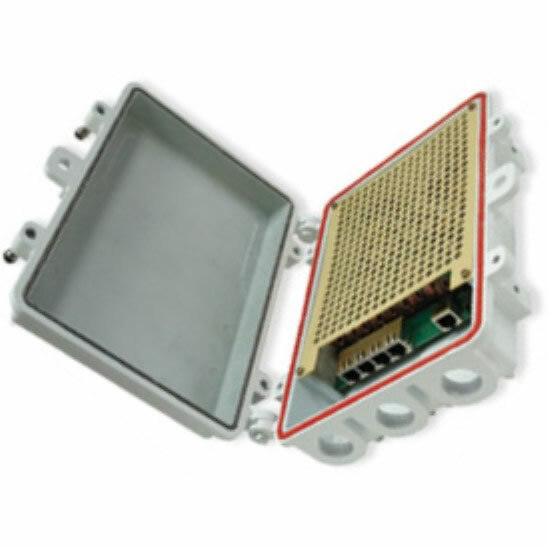 The range is suitable for all IP Applications. Want to keep up to date with us and our range of products? Give us you email and we'll be sure to keep you posted with only the important news and updates involving us and our products. 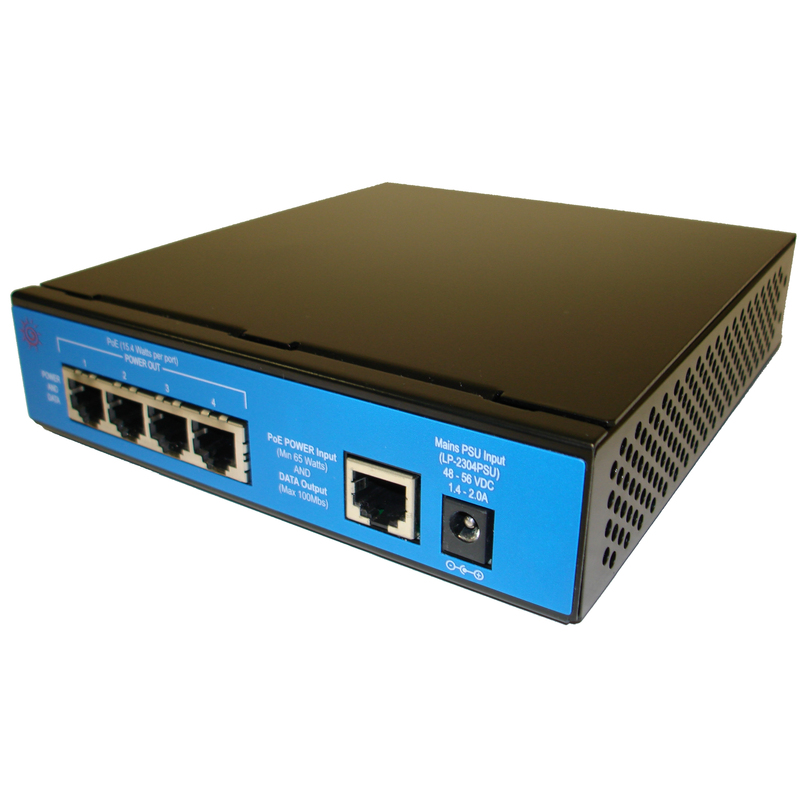 The LP-2535 Single Port High Power/PoE Plus Midspan Injector supports powering IP End Devices.